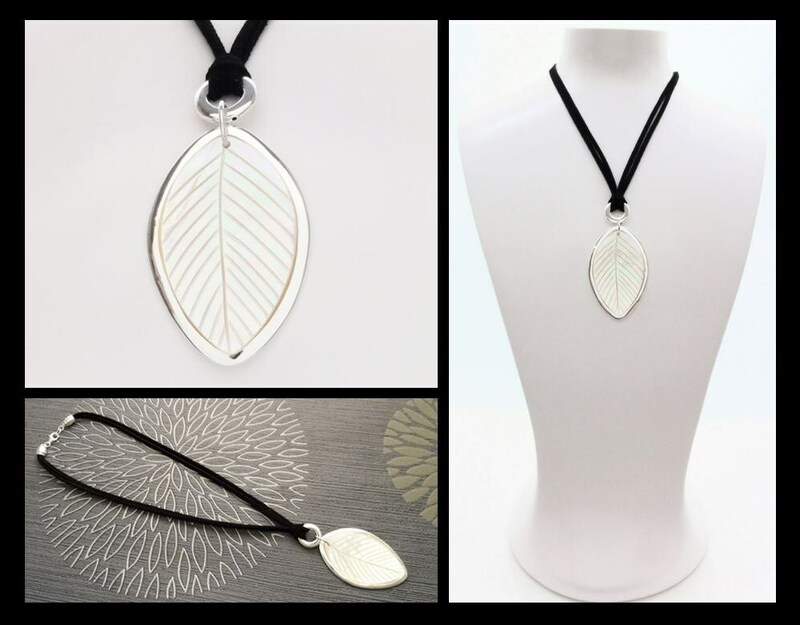 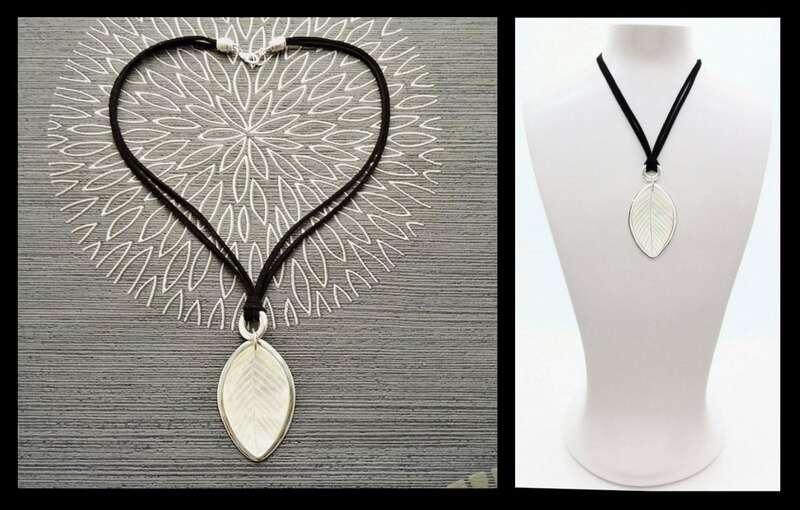 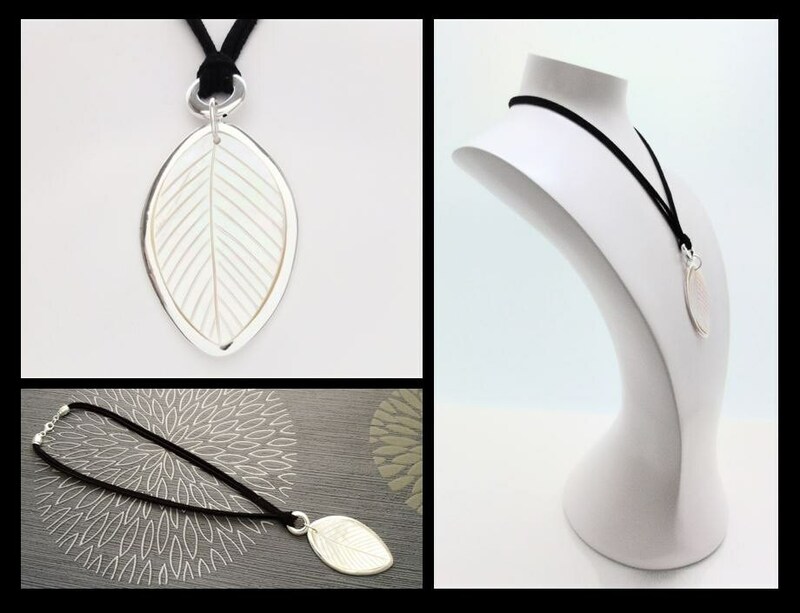 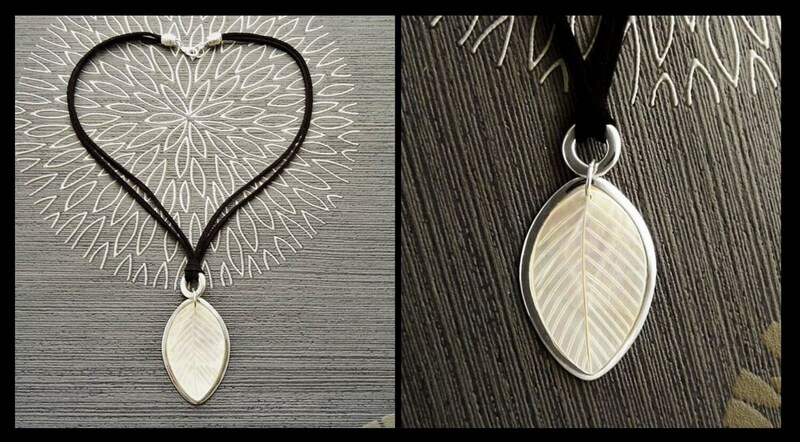 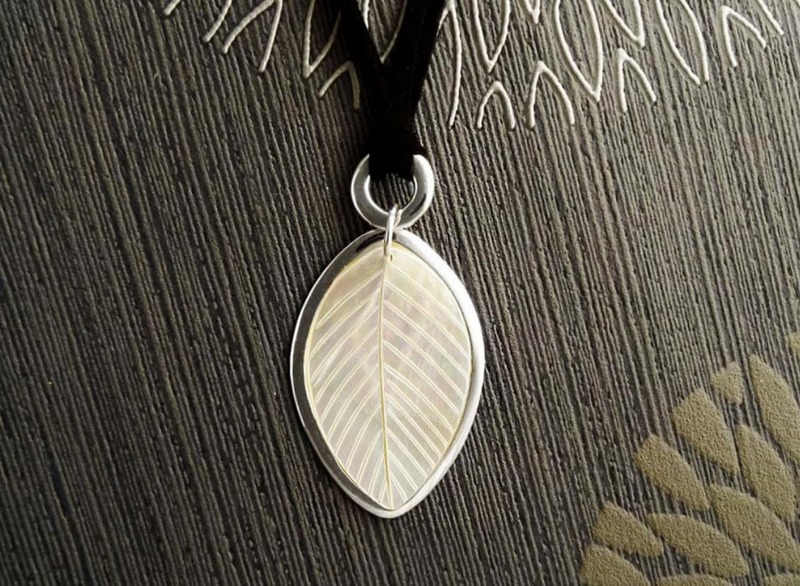 Dramatic and simple in design this Black Suede Leather Necklace with a Sterling Silver 925 Pendant set with a Engraved Leaf pattern Mother of Pearl, is Gorgeous. 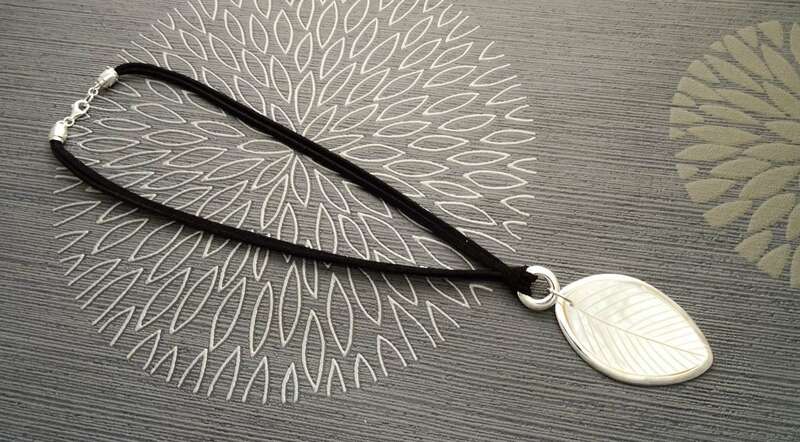 Black, Silver, and MOP reflections are both a great combination and Simply stunning. 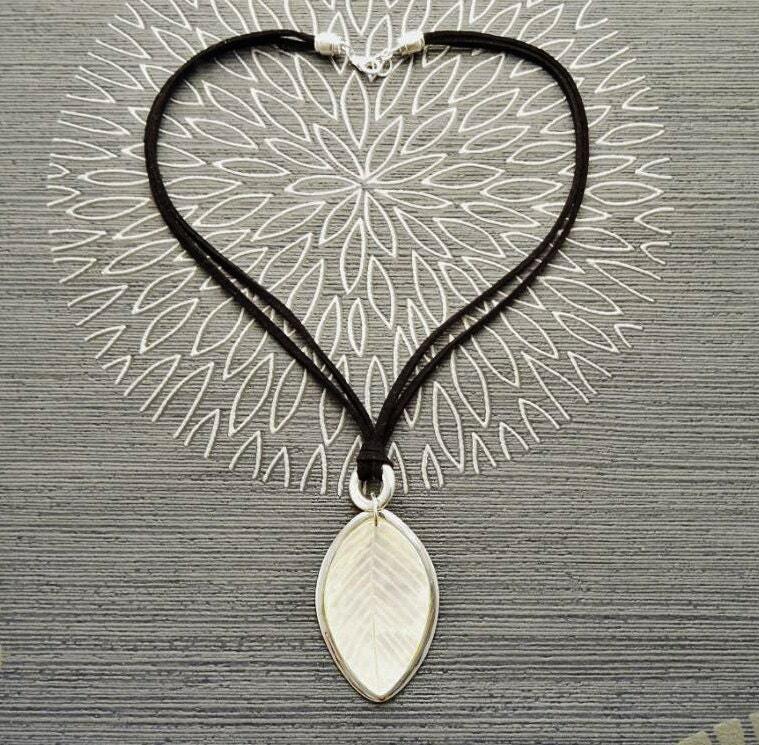 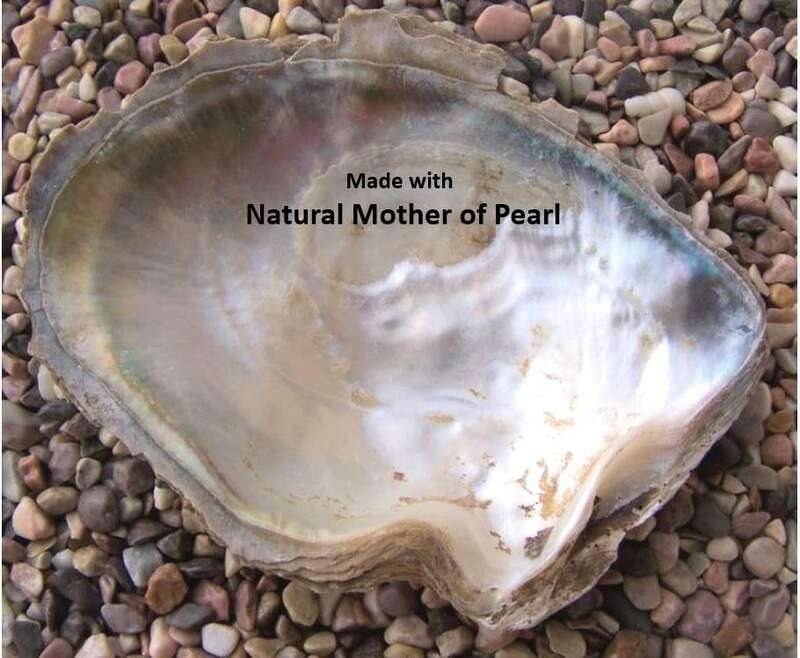 The pendant is 5.5 cm length and 3.5 cm width.